Looking for suggestions for improvements. Also please suggest some fishes for this tank. 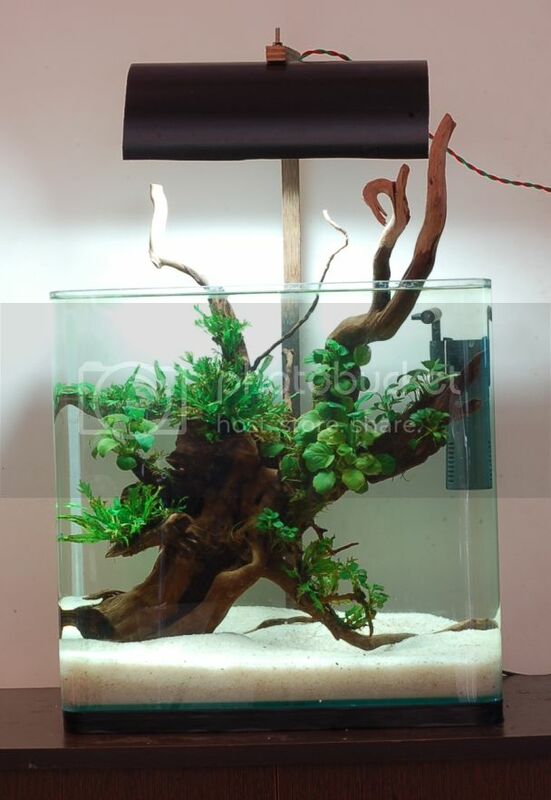 The 15 watts light is almost 20cm above the water level. Do I have to consider increasing the 15 watts to 18 watts or 20 watts? Did you check the look if the wood was tilted at top towards back? I feilt some emptiness at back side. Yes. There is some emptiness at back side. 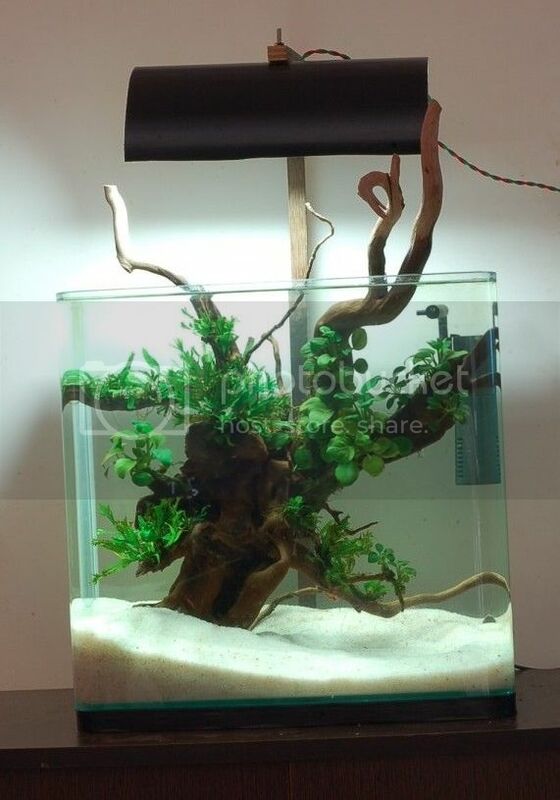 But the driftwood is touching almost all the sides of the tank. Already one branch is touching the back glass towards the top. Did you check the look if the wood was tilted at top towards back? I felt some emptiness at back side. Nice Tank, You can add 06 nos. of Galaxy Rasbora's. Nice tank Sujo. A school of Galaxy Rasbora's would be really pretty in the tank. I would prefer Mountain Minnows or Boraras brigittae for this tank. I am thinking about adding Galaxy Rasboras as most of you suggested. Both Umesh and Gandhi suggested to add 6 of them. Is this number 6 came after considering the size of the tank? I am just curious to know how you came up with that number 6.